At IFA 2018, some companies try to lay the foundations for the technologies that will accompany us in the near future with products like the Honor Magic 2. This Chinese manufacturer gave some touches to its future device that will consolidate three unique trends. These ideas are actually interrelated. The first is to have a screen without frames, something that has these other two consequences: get rid of the notch and hide the front and back camera with a system that is activated with our hand, not with a motor. Actually, that is the fundamental difference in a concept that we have already seen in the Oppo Find X and the Vivo NEX. 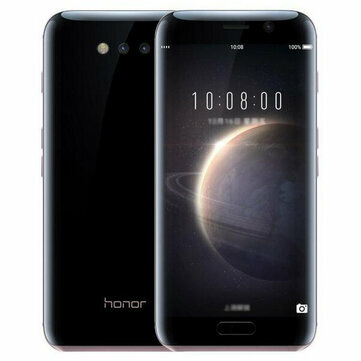 Both devices have fronts in which the use of the screen is especially remarkable (93.8% and 91.24% respectively), and in Honor wants to guide their Magic 2 to that goal. In the presentation of the manufacturer at IFA 2018, we could know more about this new Honor Play, a smartphone-oriented to gaming that had already been presented in June, but it was the Honor Magic 2 that stole the spotlight even though Honor gave only technical data on the device. It will be the first device to integrate a Kirin 980 processor manufactured with 7 nm technology, and they also indicated that this mobile would have a superfast charging system that will support powers of 40W. In this device, both the cameras and the upper loudspeaker for the calls are integrated into a mechanism that is deployed with a user action. It is not a motorized system like the Oppo Find X or the Vivo NEX, and that is one of the most evident differences of this device with those alternatives. It will still take two or three months to get to know it up close, but the Magic 2 certainly raises again that future in which the phones will take advantage of the entire screen and thus have to engineer solutions to hide the front camera and the back with mechanisms like the one mentioned. In the teaser trailer of the Honor Magic 2 that was shown during the presentation, there was another interesting detail: the presence of a voice assistant that they referred to as “Yoyo”, and that as in other cases answered the user’s call with a voice feminine. The question posed by these devices is whether users will end up accepting that to take a selfie (and maybe a photo with the rear camera) you have to activate those systems – manual or motorized. The cons obviously concern the need for the user to manually raise the scroll section each time, as well as making everything less magical. However, the fears for possible failures that in the long run can afflict a motorized mechanism and limited only to the potential fragility of the structure and the intrusion of dust and dirt. In fact, that is one of the main questions that arise when talking about smartphones that sacrifice that immediacy and availability of the cameras to win in the screen area. That favors the visual experience, and it is also an advance in design, but for that, we must sacrifice those components that now the company must hide. It also affects other practical elements such as the fingerprint sensor, which most manufacturers have relegated to the back of those designs almost without frames. Some have begun to offer facial recognition as an alternative, but that option does not seem practical when we have before us a mobile whose front camera is hidden in a native way. In this section, the fingerprint sensors under the screen, such as Vivo NEX, may be the solution. Time will tell how manufacturers face these trends. Unfortunately, Honor was not too keen on details about the fascinating Magic 2. We know that it will be animated by the powerful Kirin 980, which we’ll see on Huawei Mate 20 and Mate 20 Pro – that will boast a super-fast charge at 40W and will arrive by 2018. A prototype was shown live during the conference and, despite the efforts of the manufacturer to minimize the frames, the lower edge is still present and more pronounced than the other three sides. We will keep you updated if we get more information about it.